​Stephen Swinburne reminds us that we need to look beyond the surface of things. Something that may look "ugly" may have some very beautiful purpose! When teachers (and students) think of poetry, they probably aren’t considering science as the subject! But Author Swinburne really makes the poetry work. If you have have students who love math and science but roll their eyes when you ask them to explore poetry, read them this Minute and challenge them to whip up some poetry about their favorite topic - you may be surprised by the results. Use this Minute to reinforce the importance of observation and critical thinking science. AUthor Swinburne first describes the head of the vulture - bald. Then he walks the reader through the thinking about why this characteristic may be necessary for survival. Use this to open the door to more biological observations and have students hypothesize about why turtles have shells, why fish have fins, why some birds have curved beaks and others do not - see where I am going with this? Take your kids there! Use this Minute as an anticipatory set for your introduction to bacteria and viruses. Explore the similarities, the differences, and the strategies for living successfully in environments rife with both. Don’t forget to explore the reasons your students need to know - once students see the connection of information to their own health and well being, they are likely to stay engaged in the learning. 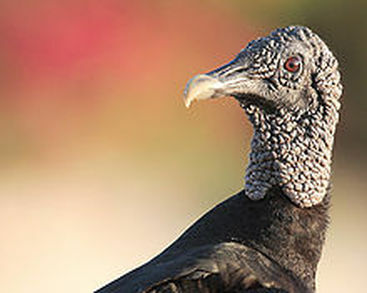 The connection between the vulture as a species and its physical environment is a critical one for the cleanliness of the planet, and that relationship is the very definition of the branch of science known as ecology. Use this Minute to start your students thinking about this very important branch of science - you may have the next Rachel Carson or Dian Fossey in your class! The process of breaking things down into their parts is known as decomposition, and the chemistry behind it is fascinating. Explore the process with your students and find other species that assist decomposition. Play the “what if” game with small groups so kids can understand what it might look like if things did not decay. Author Swinburne tells us that many vultures are killed annually due to ingesting lead shot from deer. Unfortunately, vultures are not the only species vulnerable to lead poisoning. Use this Minute to help kids explore the likely sources and consequences of lead ingestion for humans. Birds are a perfect subject for delving into the world of information organization. Birds are among the most popular pets in the world, and bird watching is a global hobby. When your students use the keyword “bird” to do a search, the amount of results over over half a billion. Have students see if they can breakdown the types of information available about birds and then start narrowing their search. Have kids play with changing search words to narrow or broaden their searches. Show them the difference between the quantity of search results in a subscription database versus the free web (or better yet, let them search and record the numbers themselves for comparison). Have them add keywords to their searches and run them again. What works? What does not? How do research results differ when searching subscription services as opposed to searching the free web? What are the pros and cons of each? Consider displaying effective search strategies somewhere in your classroom and adding to it throughout the year as your student discover more effective ways to become more efficient searchers of information.